Rich deciduous forests, or less often, oak-hickory; quite local. The three petaloid sepals fall away as the flower opens, leaving the reproductive parts as the showy portion of the flower, conspicuous as in Thalictrum and Actaea. The two cauline leaves expand fully after the flower has opened. The raspberry-like fruit is considered inedible. 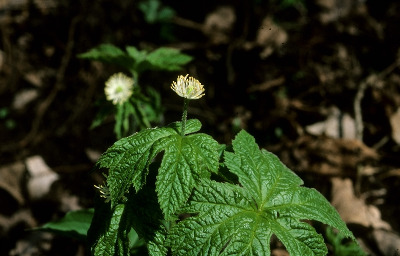 The knotty yellow rhizomes, however, have long had a reputation for being of medicinal value, and as a result of ruthless exploitation the species has declined considerably in the United States. MICHIGAN FLORA ONLINE. A. A. Reznicek, E. G. Voss, & B. S. Walters. February 2011. University of Michigan. Web. 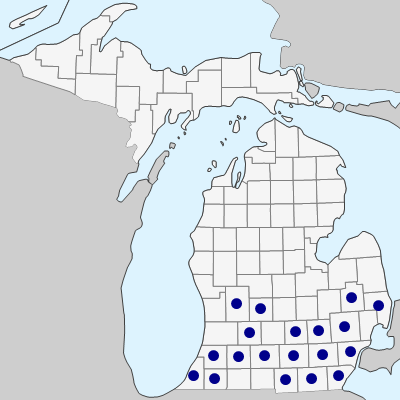 April 22, 2019. https://michiganflora.net/species.aspx?id=2378.